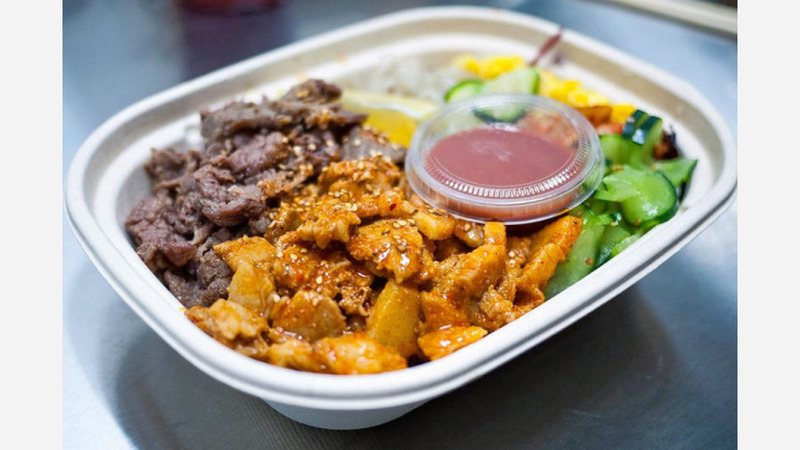 If you're craving Korean food downtown, a new spot has you covered. 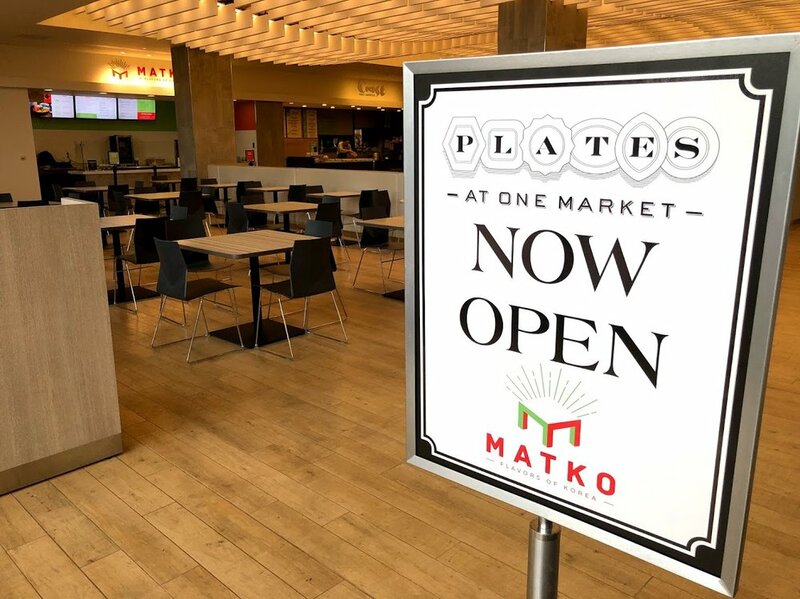 Called Matko, the new arrival is located inside Plates at One Market (near Steuart St.). 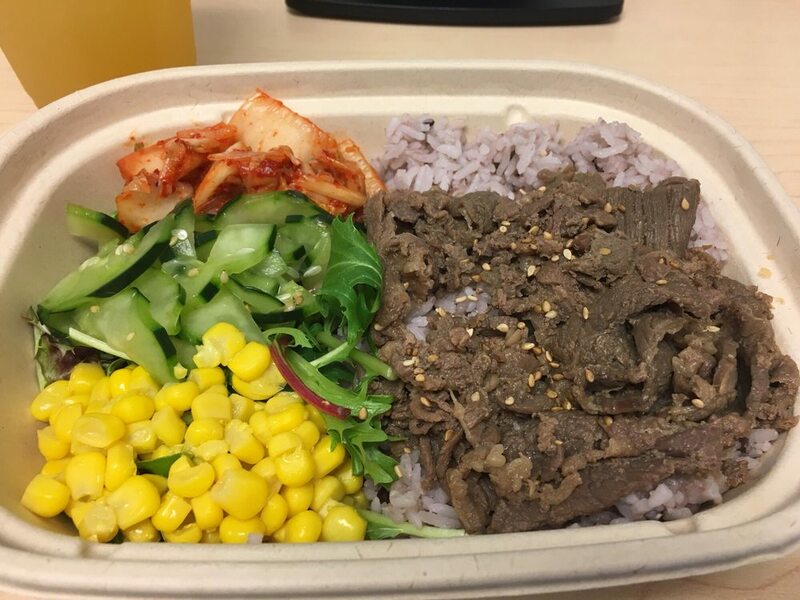 This newcomer--located in the One Market Restaurant plaza--specializes in Korean-style lunch boxes, called dosirak. The boxes feature comfort food classics, including the ubiquitous house-made banchan Korean side dishes, according to the business' website. At Matko, customers build their own meal. They first start by choosing a base like mixed greens, purple rice or soba noodles, then add-in banchan such as kimchi, seasoned cucumber or sweet corn. Next, they can choose from a variety of proteins on hand, like soy chicken, spicy pork or beef bulgogi. Beef bulgogi with purple rice. Matko has garnered rave reviews thus far, with a five-star rating out of six Yelp reviews. Jane L., among the first Yelpers to review the spot, said she "was very surprised by how easy the menu was and how flavorful the food was!" Calling Matko a "must try," she praised her banchan, soft tofu and chilled spicy squid, which "reminds me of what I used to eat growing up in Korea." Plates at One Market dining area. Yelper Yiannis V. said Matko has a "simple menu, fast checkout and delicious food. Staff are Korean so this thing is as authentic as it gets. Tried the bulgogi and the ginger lemonade--that they make there as well--and it was amazing." "This will definitely be my go-to place for lunch if I want Korean food," said Cindy J. "The menu is simple, food looks clean and fresh. Taste is great too." Matko is open weekdays from 10:30am-2:30pm.